Daily Film Forum Spotlight - "The Kingsland Chronicles" And "The Yearbook"
Caged Bird Productions is a team dedicated to bringing you thought provoking and entertaining stories. Both writers and creators, J. Ian Sample and Jorge Chapa, want to share their unique and imaginative tales by launching two new Original Series, The Kingsland Chronicles and The Yearbook. Created and written in-house, the goal is to create a community of dedicated fans through Indiegogo to help cast, crew and produce both projects with a premiere date slated for January of 2016. 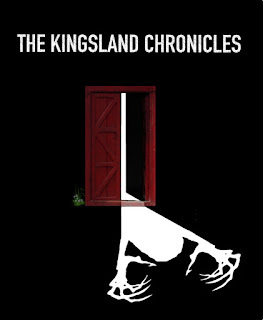 The Kingsland Chronicles is a 5 episode (8-10 minute) horror/suspense series shot in New York City. We open with our struggling author, Isaac. With his writing at a standstill and his already bleak existence bringing him down it seems as if the world is going to swallow him whole, until he has a fateful run-in with a beautiful stranger. The Yearbook is a 5 episode (8-10 minute) Comedy/Drama opening with our narrator, Jack, devilishly handsome and regrettably incarcerated. Winding his way through his cell block he spins us a tale, recounting that one fateful night where it all went wrong. On Jack’s cue we dive into the story of five best friends since high school - a time where they had it all. But we catch up with them ten years later - broke, beaten, down on their luck and out of options. Finding solace in friendship and booze, they plunge head first into an epic night of mischief and debauchery attempting to see if the reward of rehashing their glory days is really worth the risk. 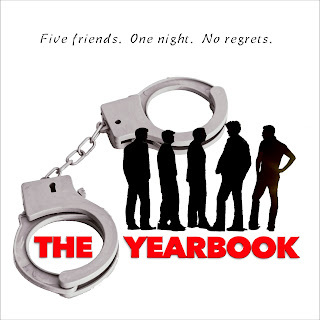 The Yearbook is about five friends who take a stab at changing their destiny - no matter the cost. "Amphibious" written and to be directed by Charles Kaufman begins development cycle for a 2017 release. Zephyr Media will produce with casting set to begin early 2016. The genre is action/adventure, locations will include; Utah and Oregon. The story of Amphibious will be include groundbreaking visuals and include a narrative structure unlike traditional cinema. The casting process will begin in early 2016 with a production start date for Winter 2016. Baruch Kaufman will be Producing along with RJ Rooney and BB Rourke. Zephyr Media is a LA based film production company with live action and animated films in its slate. The creative process brings together a collaborative effort with local film offices in Utah and Oregon for the out picturing of the film's final cut. Crew positions will be local hire in each state with a selected criteria to be announced in accordance with local state requirements including but not limited to: crew, cast, key ancillary partners. Information is subject to change and or be updated by Zephyr Media and its partners. INDO FRENCH FILM FINANCE funded the Film Ankahee under Banner of KKOFFEE motion pictures LLP. Film is all about, There is a party going on. Party ball is hanging. Loud Music. High Beats. Shots of people enjoying in the party, drinking, dancing, gossiping, etc. The camera moves towards the door and out of it to the door into the balcony to reveal the starry Mumbai night with its bright lights and the ever moving traffic. The party music fades out and thriller music starts building up as we keep moving into the space outside the balcony. Direction done by Miss Soumya Bhardwaj and the producer of film is Mr. Vinay Bajaj. Budget of Film is about Rs 50 crore. INDO FRENCH FILM FINANCE funded the Film Master Muslim under Banner of KKOFFEE motion pictures LLP. Film is all about a stranger comes to city of kolkata on a journey dejected and depressed he meets a family. Master muslim and his visualy impaired grand daughter nida this meeting with nida takes him to an unknown journey.within himself the path which he dreaded to travel. KKOFFEE Motion Pictures LLP, specialising in films for the property and development sector, the company now works across a variety of sectors and industries. Production services include live action filming, VFX, CGI and animation, helping clients tell their brand stories through engaging, emotive and effective film content. Faustaff is a story of ambition, success and madness. A play where the Faustian myth is seen through the eyes of a modern day woman. The Mexican Theatre Company "La compañia Perpetua" in collaboration with UK's "Artistic Producciones", is proud to present this international project that brings together Mexican and British artists. "Faustaff" is being simultaneously produced in both Mexico City and London. We are taking Director Frank Kaye to lead a Mexican Cast in Mexico and we are bringing Director Rodrigo Johnson to lead a British cast in the United Kingdom. "Faustaff" explores the limits between fiction and reality, in a world where media has blurred those frontiers; a world where men and women are obsessed with power, money and social recognition; a world that has lost its sensibility towards tragedy and where violence has taken over. The play was written by the Mexican playwright Diego Sosa. It's a play inspired by the Faustian myth, set in the modern world and seen through feminine eyes. The title of the play, however, comes from a mixture between Marlowe's and Goethe's Dr. Faustus and Shakespeare's Falstaff, the mischievous character from Henry IV saga and the merry wives of Windsor.